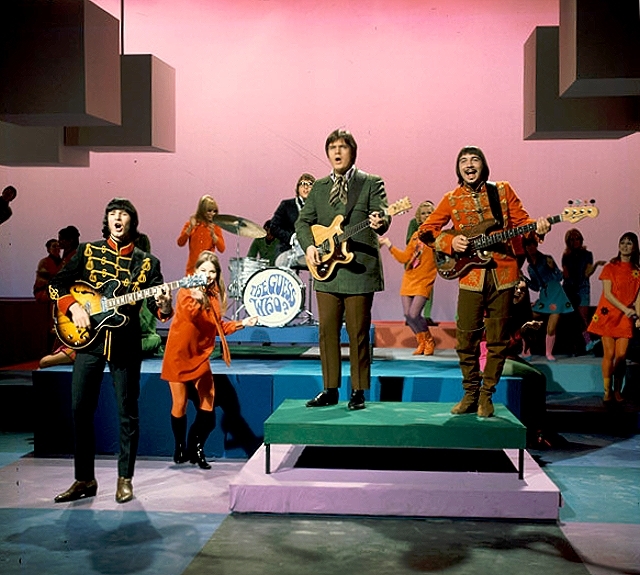 By early 1970, the Guess Who had established themselves as a true force on Top 40 radio—with “These Eyes,” “Laughing,” and “Undun” solidifying the Canadian band’s reputation as masters of the three-minute pop song. 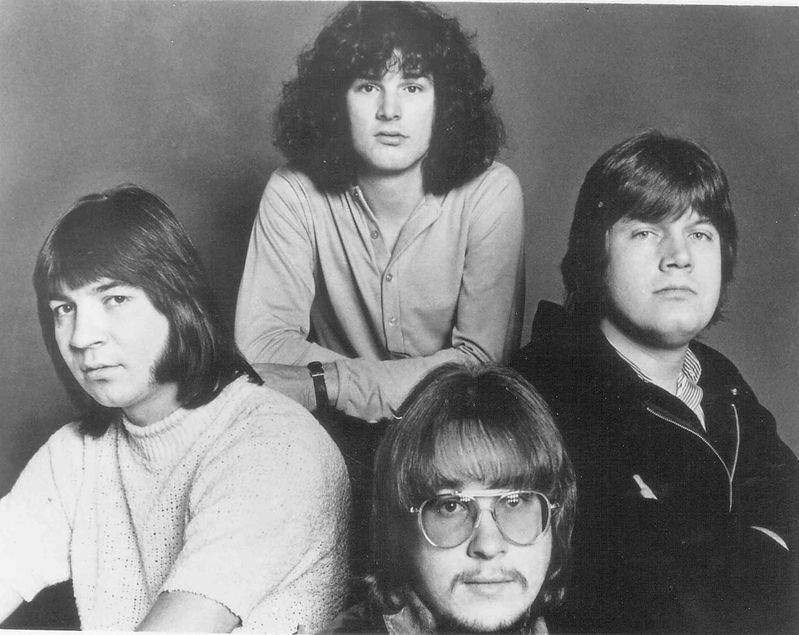 The group aspired to something more, however, and with the American Woman album, they achieved it. Sporting a heavier musical vibe and tackling weightier themes, the record helped carve a niche for the band among its harder rocking peers. Guitarist Randy Bachman and frontman Burton Cummings wrote nearly all the material for the album. Jim Kale (bass, backing vocals) and Garry Peterson (drums, backing vocals, percussion) filled out the band’s lineup. The first single from American Woman was “No Time,” a re-recorded version of a track featured on the band’s previous album, Canned Wheat. Released before the new album was completed, the song peaked at #5 on the charts, ramping up expectations for the forthcoming LP. When American Woman hit record stores, however, it was the title track that created the biggest stir. Structured around a heavy guitar riff worked up by Bachman during a concert jam, and featuring a menacing vocal from Cummings, the song homed in on what the band viewed as the social and political havoc wreaked by the Nixon administration. “A lot of people thought ‘American Woman’ was addressing the woman on the street,” explains Bachman, “but it wasn’t at all. The band had witnessed all the desolation going on in America, where there were hardly any young men in any of the towns we went to. They had all been drafted. We would see 18-year-old guys at the airports, with their buzz cuts and their uniforms, with their fathers telling them how proud they were, and their mothers and sisters in tears. It was heartbreaking. So instead of singing ‘Uncle Sam, stay away from me,’ or ‘Richard Nixon, stay away from me,’ it was ‘American woman.’ RCA actually released a piece of promotion that showed a New York alley filled with litter, and at the back of the alley was the Statue of Liberty, holding up the torch. Fortunately, by the time radio and the government understood that the song was an anti-war song, it had already reached #1,” which it did on May 9, 1970. Following the explosive one-two punch of the title track and “No Time,” American Woman settles into an eclectic mix that showcases the growing maturation of Bachman and Cummings as songwriters. “Talisman” features Cummings singing the words to a poem he had written two years earlier, as Bachman provides classical-style accompaniment on acoustic guitar. “969” finds Bachman rocking out on a blues instrumental spiced by a jazzy break played on the flute. With the exception of the title song, however, it’s the inventive “combination” track, “No Sugar Tonight/New Mother Nature,” that shines most brightly. A melding of two distinct tunes into a “round,” of sorts, the composition resulted from a bit of serendipity. Forty-seven years after it first hit record stores, American Woman remains an essential cog in the classic rock lexicon. “No Time,” “No Sugar Tonight/New Mother Nature,” and the title track continue to occupy prime spots on countless playlists for classic rock radio. Moreover, in 1999, Lenny Kravitz topped the charts with an inventive reworking of “American Woman,” bringing a fresh perspective to the Guess Who’s place in rock history. True, in the wake of the record’s release, Bachman broke away from the Guess Who, going on to find success with Bachman-Turner Overdrive. 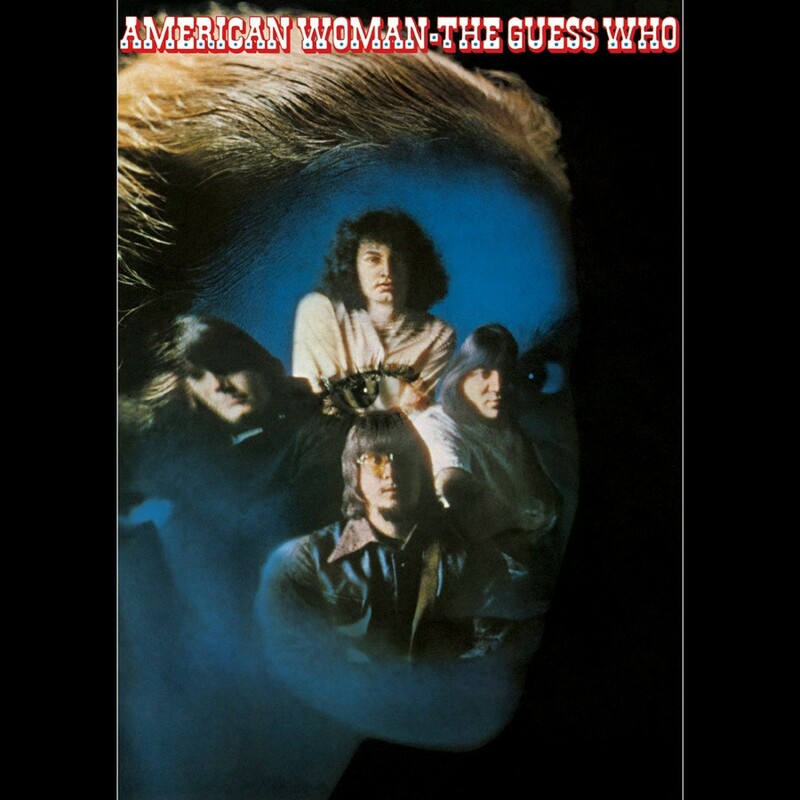 Still, American Woman stands as a testament to what a great songwriting partnership can yield. Burton Cummings had the quintessential rock voice. It’s really a shame the group didn’t last longer.